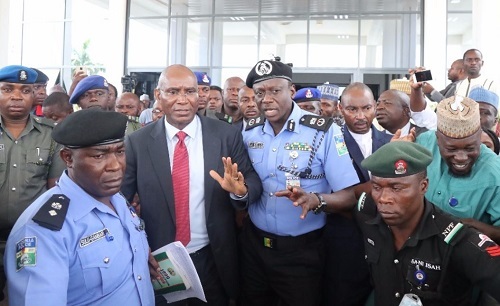 The senator representing Delta Central in the Senate, Ovie Omo-Agege was today arrested by the police after he allegedly led thugs to steal the mace at the Senate. 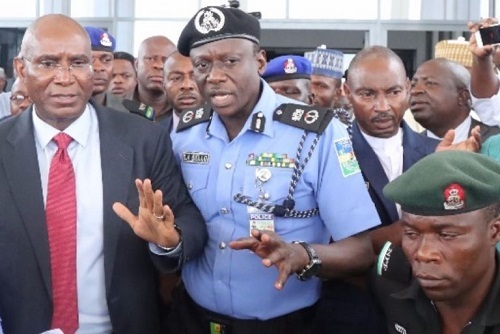 He was whisked away by the FCT police commissioner after he returned to the National Assembly following the earlier incident. 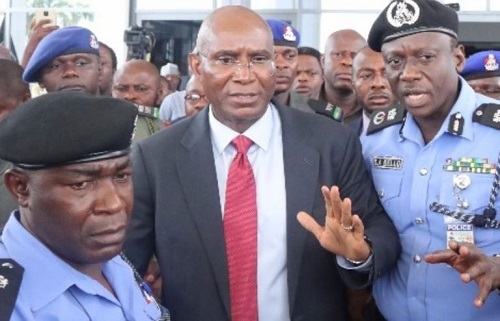 Recall that Omo-Agege had earlier been suspended for 90 days by the senate over his comments that the amendment to the Electoral Act 2010 to reorder the sequence of polls in a general election was targeted at President Muhammadu Buhari.